For anybody not a secret that Laundry is a rather complex and time-consuming process. So a washing machine in the house is not a whim of the housewife, but a necessity. Of course, a good washing machine can only be called a machine, other types of washing machines are severely outdated. Now the assortment of any brand has at least a dozen different models with different functions. In order to choose the right washing machine among this variety, you should know a number of characteristics. 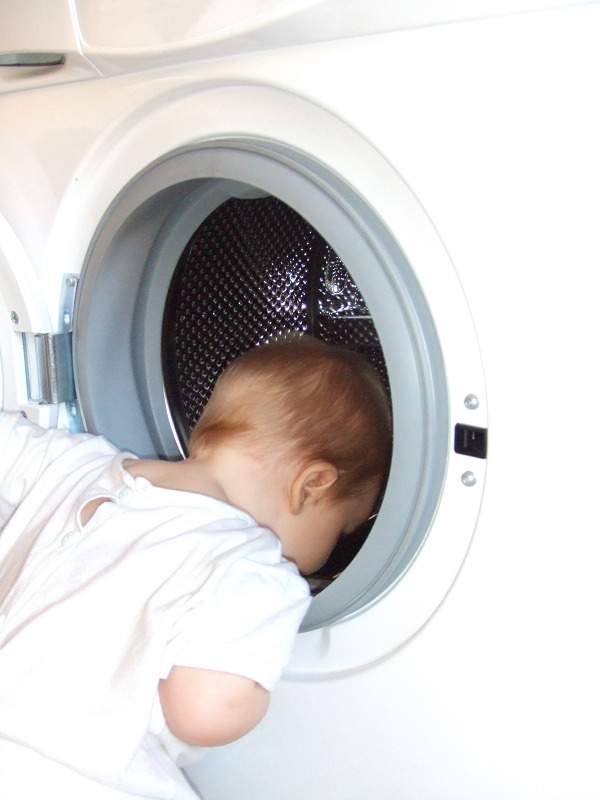 Washing machines are divided into two groups: front loading or vertical. Washing machines with vertical load type have several advantages: they are more convenient and reliable, take up little space in the washing process you may take out the thing or Vice versa to throw new. When buying a washing machine front loading not to forget, do you have free space in the apartment. Such washing machines are not inferior in quality to the washing the front. But for more convenience you should choose the door, which opens 180 degrees. Size and maximum load. Standard size of washing machine is considered to be 85 cm in height and 58 cm in depth. But you can find other models with a depth of from 35 to 60 cm For small spaces fit narrow cars with a depth of 32 cm, But the compactness reduces the amount of washing of the drum, and, consequently, reduce the maximum load. You need to know the material of the tank washing machine. The drum shall be made of stainless steel, and the basis for the tank can be composite materials, stainless steel or enameled steel. The stainless steel is the most reliable and durable material, but inferior in noise. Composite materials are characterized by a lower quality, but sufficient durability and less noise, by absorbing vibrations. "Quick wash" for lightly soiled Laundry items. "Soaking", the "Intensive wash", "stain Removal" – for heavily soiled things. "Extra rinse" - this program is designed for people who suffer from allergies. "Economy wash" - designed for energy savings. The washing machine connection is of two types. Connect to cold or hot water saves energy, but the disadvantage is that the temperature in the water supply is intermittent, and in the washing machine water will be heated to a certain temperature. Connect only to cold water is more practical, but it requires additional funds to mitigate water. You also need to pay attention to the hoses. It is desirable that they be flexible, it increases their wear resistance. The build quality is. In Turkey, the Assembly, perform machines, so the average time of operation of such washing machines is 4 years. Austria and Sweden collect machines that can last you up to 20 years. The German Assembly designed for 15 years, and the Italian or Korean – 8 years.